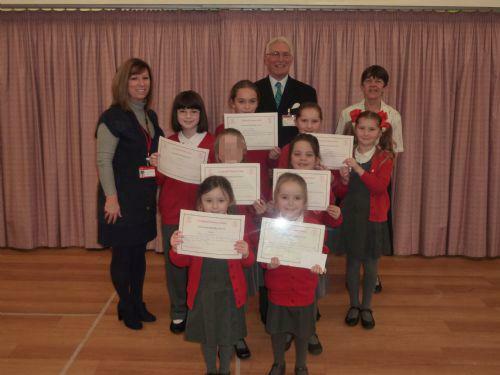 Congratulations to all our nominees and the winner of the first Community Reading Award. We were joined in our achievement assembly today by David and Jan Vousden, who kindly made a donation to the school for the introduction of a new reading award. Each term one pupil will be nominated from each class in recognition of their significant achievement in reading. The winner of a £10 Waterstones book voucher was drawn randomly from all seven nominees today. A very big thank you to David and Jan for their support in this important area of the curriculum. We look forward to rewarding another group of children next term!